SNC-Lavalin (TSX:SNC) is pleased to announce that, effective today, Sylvain Girard has been appointed as Executive Vice-President and Chief Financial Officer, succeeding Alain-Pierre Raynaud who is leaving the company to pursue other opportunities. 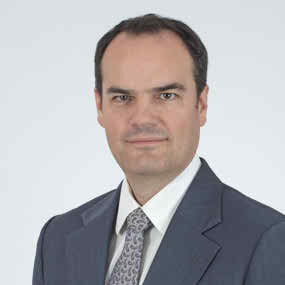 Sylvain Girard joined SNC-Lavalin in August 2014 and has been Corporate Controller since June 2015. “Sylvain Girard’s appointment comes as we progress to the next stage of our evolution. His leadership, deep finance expertise, international experience and strong understanding of our business make him the right person to take over the CFO role as we continue fostering a culture of efficiency and execution. I look forward to working with Sylvain on a number of important areas of financial improvement, including meeting our targets and improving overall financial performance. Since joining us, he has successfully helped the Power sector restructure and improve its peformance, and more recently as Corporate Controller, he delivered strong results in driving process efficiency in Finance. In 2015, his involvement in the STEP Change program helped us reduce costs and deliver increased competitiveness and agility,” commented Neil Bruce, President and CEO. “I thank Alain-Pierre for his substantial contributions to the company during the most challenging time in its history. His leadership helped us turn the company around and deliver good financial performance in the latter half of 2015. He leaves SNC-Lavalin a stronger company that is better positioned to sustainably grow profitably and maximize shareholder value,” concluded Mr. Bruce. Mr. Girard joined SNC-Lavalin in August 2014 as Senior Vice-President, Finance, in the Power business sector. In June 2015, he took on the role of Senior Vice-President and Corporate Controller, overseeing the company’s global financial affairs and strengthening the finance function. He brings over 20 years of global finance experience, with 14 years as CFO in the financial services and health care sectors of GE in Europe, where he led European teams of finance professionals in a multitude of countries. His broad experience includes strategic planning, forecasting, M&A, cost control, auditing, risk management, and improving cash performance, financial controls and profitability. He holds a Bachelor of Commerce degree in Finance and International Business from McGill University.